Featuring a colour temperature of 6,500 kelvin (daylight white), the Tetra LED Light Wave produces a natural light and offers excellent colour rendering, which, thanks to the shimmering effect that is characteristic of LED lighting, ensures that the fascinating world of underwater life is shown in its best light. Due to its low power consumption and service life of 50,000 hours, the light also satisfies the demand for sustainable, environmentally friendly products and even comes with a 3-year guarantee. Its high standard of quality is also evident through the use of novel chip-on-board (COB) technology, which involves fixing LED diodes directly to the circuit board for increased luminous flux. The light's optimum colour spectrum ensures healthy plant growth, while the broad range of colours accentuates the natural colouring of the creatures living in the aquarium. 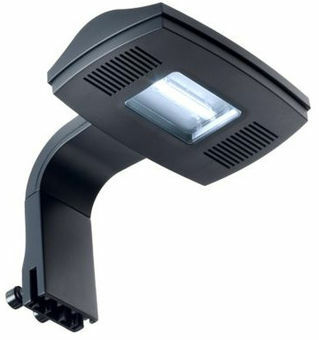 Long-lasting and powerful 5-watt LED lighting with low power consumption.